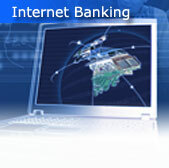 Welcome to The State Bank of Wynnewood Internet Banking! We are dedicated to providing you convenient access to your accounts. email us using our contact form , or come by the bank in Wynnewood. We are always here to serve you. You are being sent to our Secure Site Please wait! If you are not re-directed to our secure site within 3 seconds, please click the link below. The State Bank of Wynnewood's Secure banking site.